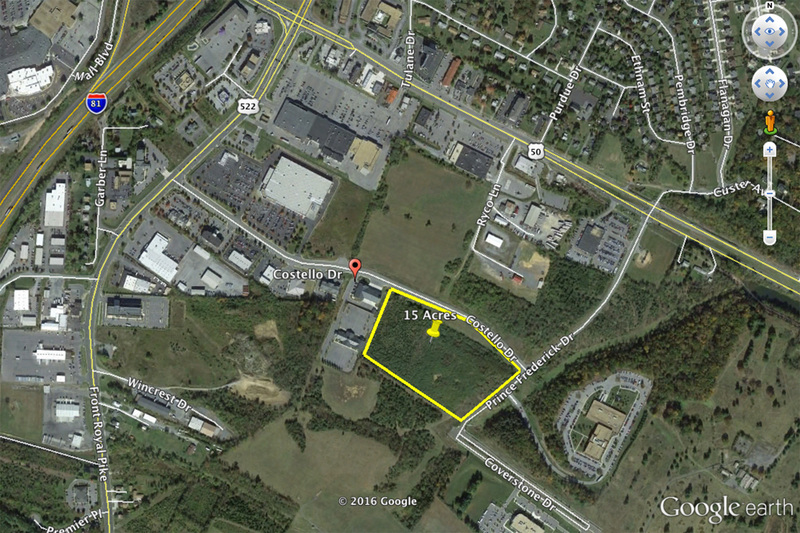 The Aikens Group owns 15 acres of developable commercial real estate on Costello Drive in Winchester, VA. Located just outside the city limits with convenient access to Route 50, 522 and Interstate 81. This site would be perfect for a company needing easy access to popular travel routes. The Aikens Group does not have an approved site plan for the acreage and is willing to subdivide the 15 acres into smaller parcels for interested parties.